I am not a fan of Magnum. There. I said it. I never went wild and consumed Magnum every day when it was launched. It tasted like your usual ice cream to me. 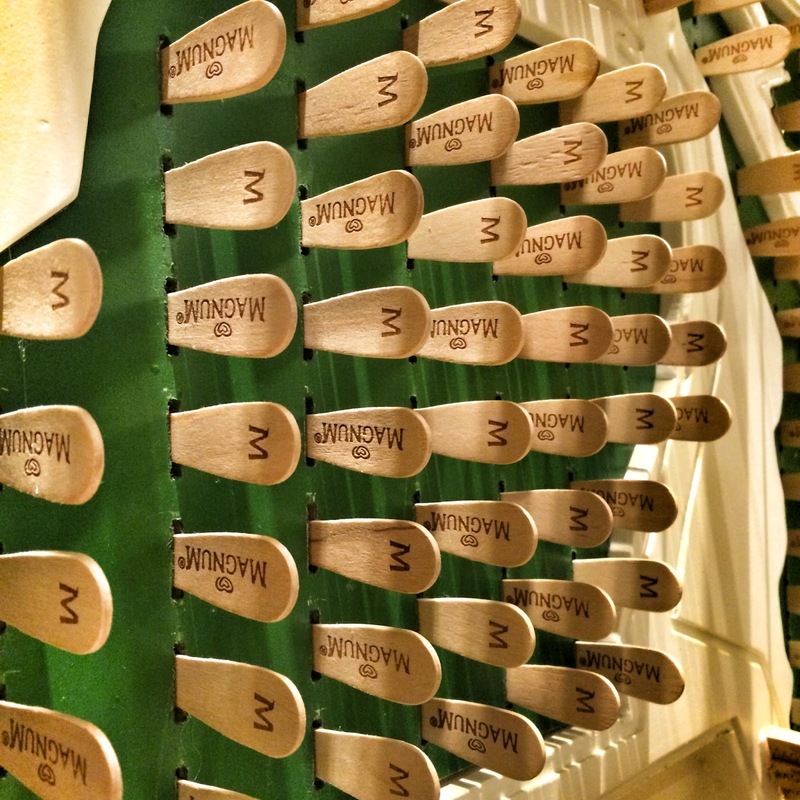 But the thing is… I drooled when I found out that there will be a Magnum Manila Café. Yeah, yeah, why am I saying this just now? It has been up and running since early last year. Well, I was a late bloomer with Magnum Manila Café. Just like Ippudo, whenever I plan to visit, it gets cancelled. Luckily, my favorite Dragon lady was game to try it with me before 2014 ended. T and I did our best not to order the popular chocolate dish from Todd English just so we could stop by Magnum Manila. And it was lovely to see the place without a crazy line in front. We easily got a table and we ordered Pink Friday (PHP290) and Trio of Hot Chocolate (PHP180). 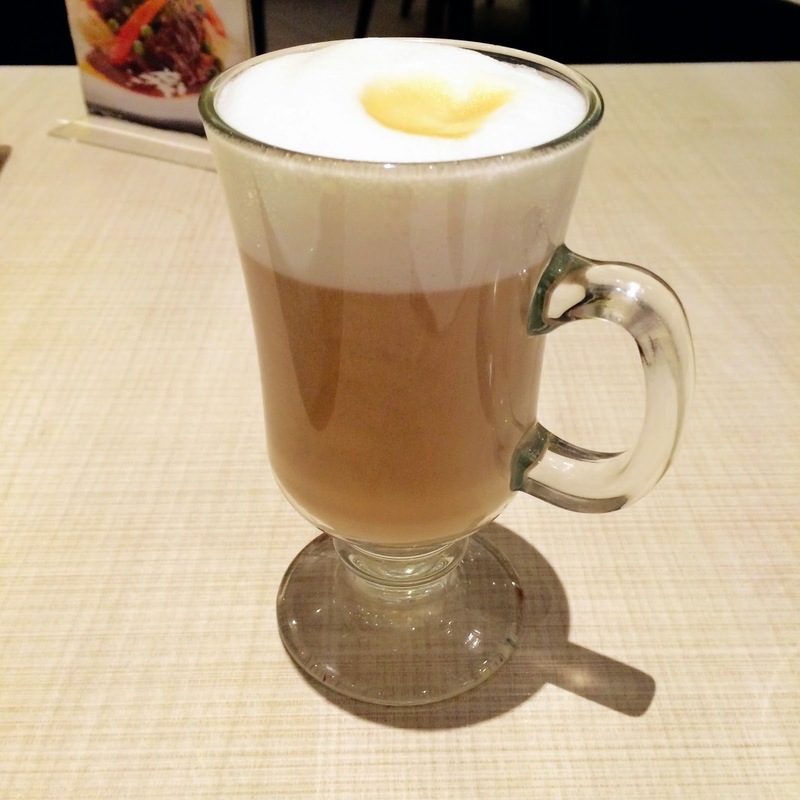 I also got a cup of Hot Cappuccino (PHP110) while T went for her usual black coffee. 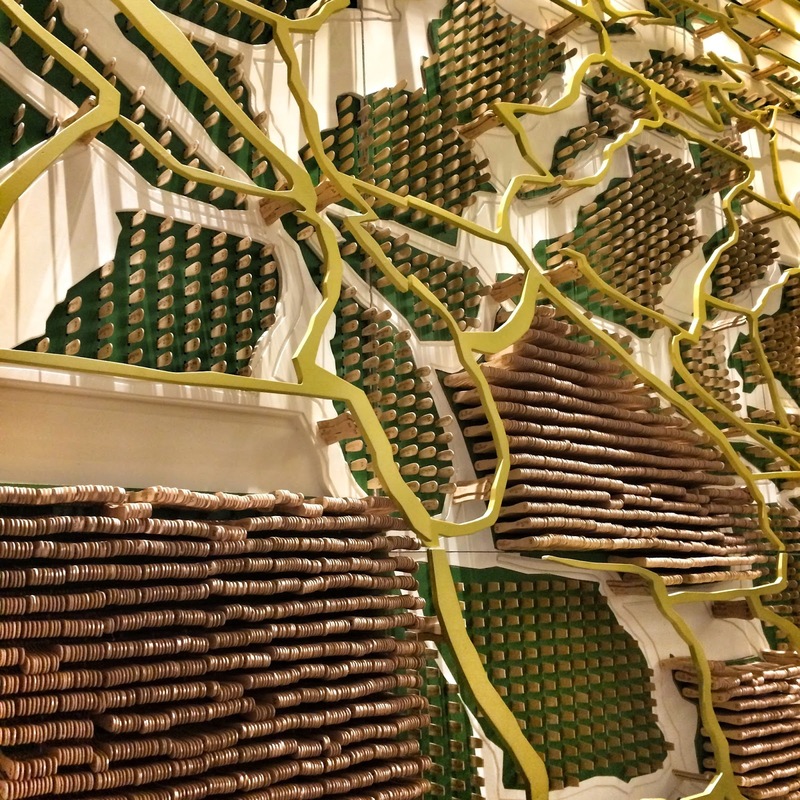 While waiting, we got mesmerized by the wall filled with Magnum stamped Popsicle sticks. Pretty! Soon, the Pink Friday dessert was served. And it sure was very pink. The dish is made of strawberry marbled cheesecake on a bed of Speculoos tea cookies. It also has strawberry nerds and a pink chocolate dusted vanilla Magnum on top and strawberry coulis on the side. 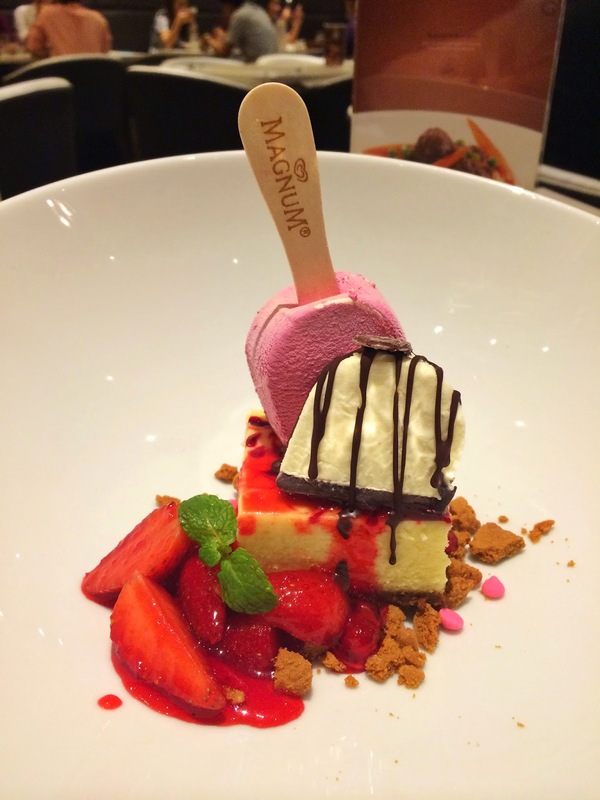 I loved the contrast of the slight tanginess of the cheesecake, sweetness of the Magnum and coulis, crunch of the thin chocolate covering the Magnum and the cinnamon taste of the bits of Speculoos cookies. Yum! Next served were our drinks and the Trio Hot Chocolate. The Classic had a rich chocolate taste. It somehow tastes like tablea with a darker chocolate flavor. 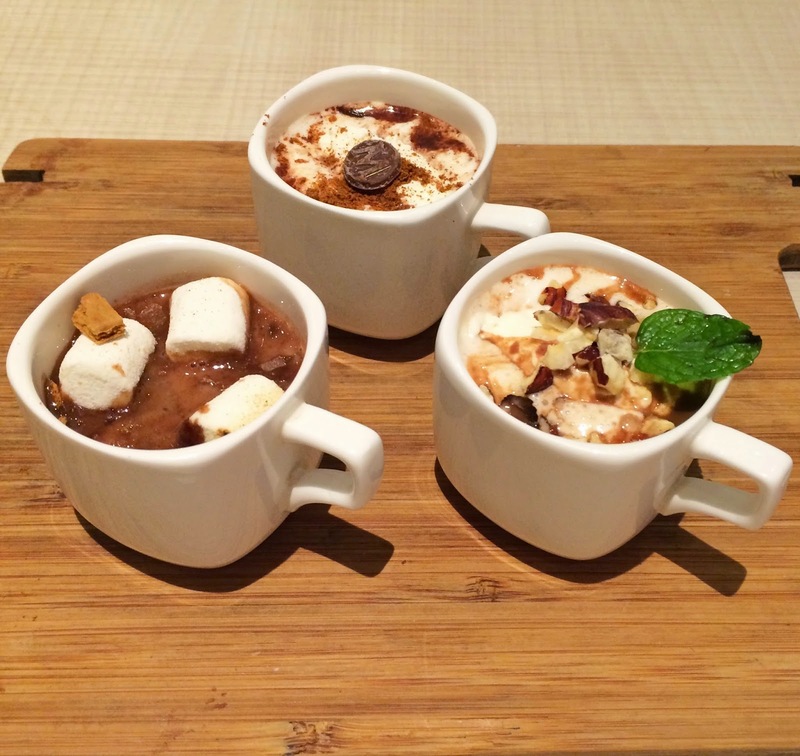 The S’mores would be something kids would love as it was fun drinking the hot chocolate with the soft marshmallows. Hazelnut, on the other hand, is my favorite. The slight nutty taste was love. Magnum Manila is located at 5th Floor, SM Aura Premier, Bonifacio Global City, Taguig City. mura lang pala! madame bang tao? gusto ko pumunta jan sa bday ko! Not so these days. :) Go visit! I'll try their savory dishes soon.